This year’s Musical production is a restaging of the Broadway hit, Legally Blonde: the musical! You’ve seen the movie! Now see the story of Elle Woods told in a rollicking, inspirational stage version full of catchy songs and high-energy dance! 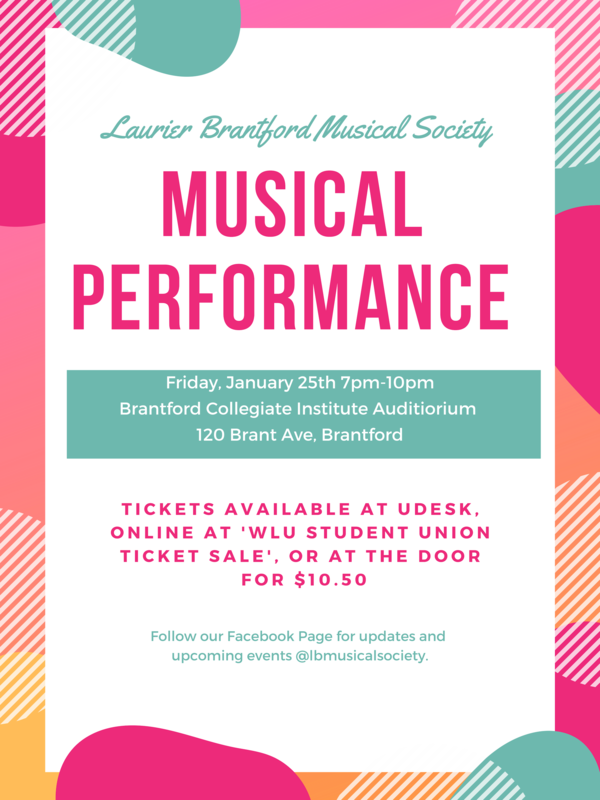 The first production of the Laurier Brantford musical society (led by LB English’s own Mila Menna), this show is the culmination of months of hard work by students at Laurier Brantford!!! One performance only, so mark it on your calendars! Jan 25 7-10PM, BCI auditorium space. Tickets are 10.50$ and can be purchased at the Udesk in the students union building or at the door.